Full of culture and beauty, East Maui is a bit off the beaten path, but it is a majestic destination for those wanting to get away from the hustle and bustle of city life. Start in Central Maui and take the Road to Hana. Here you will find East Maui, where amazing single-family homes, townhouses and condos await you and your family. Small town beauty is yours as you enter the eastern part of Maui. The city Hana is the main highlight of this part of Maui. 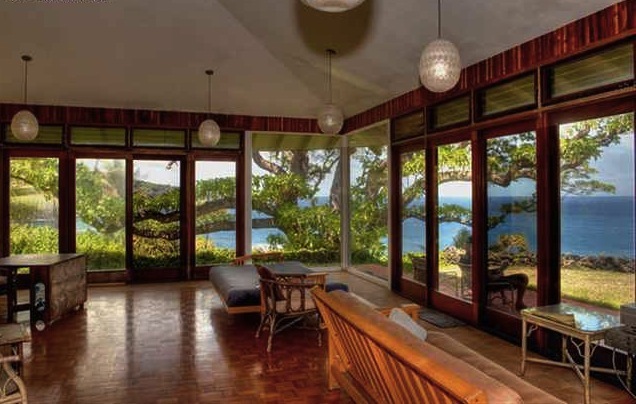 Located along the rugged eastern shoreline of Maui, Hana and other eastern cities and towns on East Maui give of a feeling of laid-back country living. This is perfect for individuals and families who are looking to get away from the worries and hectic lifestyle of city life. Yes, city life can get a little hectic, even on Maui. There are plenty of single-family homes, townhouses and condos in this area of Maui, and while some may be a little pricier than others, you are paying for beauty and seclusion, as East Maui offers both of these to you. The median sales price for homes in East Maui is currently hovering around the $442,500 price range. Compared to the same period one year ago, the median sales price increased 0%, or $442,500. This shows that purchasing Real Estate in East Maui is a good bet, as prices are steady and a secluded and laid-back life is calling to you. One of the most well known highways in Hawaii – and in the nation for that matter, in Hana Highway (the Road to Hana). Not only does this road get you to and from the eastern part of Maui, it also leads you to some of the most amazing places imaginable on Maui. The road leads you through flourishing rainforests, flowing waterfalls, plunging pools and dramatic seascapes. There are of course plenty of chances to stop and take in the scenery. If this is something that interests you, then East Maui is the place you want to be. Take some time to dig into the Real Estate opportunities that East Maui has to offer. A secluded and beautiful single-family home, townhouse or condo can be yours soon. East Maui awaits, full of beauty, wonder and laid-back living. Take a drive on the Road to Hana and explore all that East Maui Real Estate has to offer. The Big Island offers something that the other islands in Hawaii usually don’t. The Big Island offers mainland prices in an island setting. Real estate on the Big Island is lower because there is so much available land. This by no means indicates that the single-family homes, townhouses and condos on the Big Island are not beautiful, as a matter of fact; they are. The Big Island real estate market is actually doing very well for a number of different reasons. With amazing beaches, year round beautiful weather, and island living at mainland prices, the real estate landscape on the Big Island is in full swing. While it may feel like mainland prices, it definitely isn’t mainland living. You get the full feel of island living on the Big Island of Hawaii. Luscious and tropical greenery and amazing Pacific Ocean surf await you in this island paradise with mainland prices. The Big Island has perhaps some of the most recognizable and unique destinations in the world. From the hikes and valleys to the black sand beaches, Big Island living is second to none when it comes to adventure and family friendly living. With good schools, great communities and a laid back way of life, the Big Island is an ideal place to buy real estate. If you do by a single-family home, townhouse or condo on the Big Island, make sure you get out to the Volcano national Park. One of the most amazing places you will ever see, Volcano National Park allows you to hike around and explore all that the always active volcano on the Big Island has left behind. The park is famous the world around, and buying real estate on the Big Island will allow you the opportunity to really explore the area. The Big Island of Hawaii is bigger than all of the other islands combined. With plenty of laid out and open space, the Big Island offers a number of wonderful natural attractions and pieces of real estate. The island is continually growing, both population wise and land mass wise, and it has become one of the more popular destinations for people moving to Hawaii. 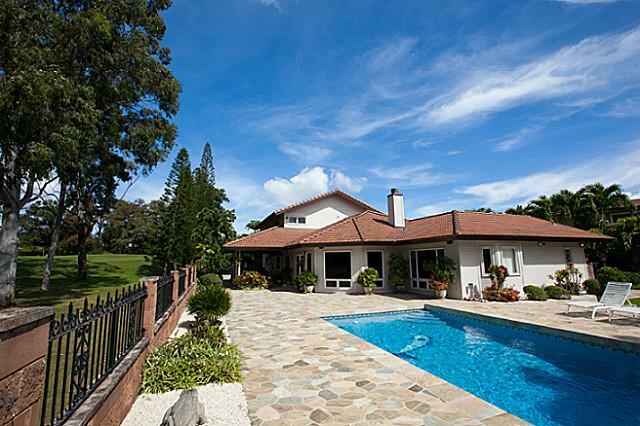 Take some extra time to really dig into the real estate landscape on the Big Island. Whether you are renting or buying, there is a unique and interesting single-family home, townhouse or condo waiting for you today. Oahu is perhaps the most famous of all the Hawaiian islands. Whether it is because most of the population lives here or because it is home to both Honolulu and Waikiki, Oahu holds a special place in the hearts of many. Oahu Real Estate is actually on the upswing right now. Business is booming so lets take a closer look. The island of Oahu is majestic and vast. Out of the 1.2 million people that reside in the Hawaiian islands, around 1 million of them make their home on Oahu. Known as “the gathering place,” the name fits the island well, as it seems that people continue to gather on Oahu to call it their island home in this Pacific paradise. Oahu Real Estate is very strong right now. While other parts of the country languish a bit, there are actually plenty of single-family homes, townhouses and condos available on the island of Oahu. With interest rates at historic lows and buyers being able to score great deals on homes, it is actually the perfect time to buy Real Estate on Oahu. Like all the other islands in the Hawaiian island chain, Oahu offers its own historic venues, historic sites and plenty of culture. Oahu also has one of the most visited memorials in the United States – and definitely the most visited place in Hawaii; Pearl Harbor and the Arizona Memorial. It is places like this that allow Oahu to stand out from the rest of the Hawaiian islands. The island is bustling with people, yet there are plenty of sections on Oahu that you can purchase a single-family home, townhouse or condo in an area that is more laid back and easier going. Prospective buyers flock to Oahu because they know that if they can get into a single-family hoe, townhouse or condo, then they understand that they will not only have purchased a property, but also made a great investment. This is because land is so valuable in Hawaii. Once you get into something you will be able to sit back and watch your equity grow. Take some time to really dig in to the Real Estate aspects that Oahu has to offer. You are sure to find that perfect single-family home, townhouse or condo on Oahu! Maui real estate is actually in a great place right now. Much of the rest of the nation is still in recovery mode, and while prices are not where they will end up, they are beginning to recover on Maui and if you can buy before the next boom you will be looking at a very nice investment. From Kahului, the capital of the island and commerce capital as well, to Hana, a sleepy little town that offers laid back country living, Maui real estate offers a little something for everyone. Single-family homes, townhouses and condos are littered throughout the island. There is a little something for everyone, as each part of Maui offers a little something different and unique to that are of the island. If it is city life you crave, the a place like Kahului or Kihei would be your choice. However, if you prefer a more laid back lifestyle, then there are also numerous small towns and neighborhoods on Maui that offer exactly what you crave from a lifestyle perspective. Maui offering an abundance of shopping, restaurants and beaches, all of which are scattered throughout the island landscape in a unique and inviting way. Purchasing a single-family home, townhouse or condo in the Maui Real Estate market will net you immediate returns in other ways as well. 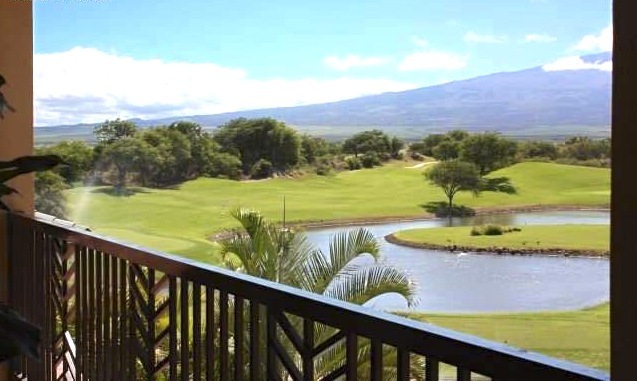 For example; if you love to golf, then Maui is a golfer’s paradise. Offering some of the best courses in all of Hawaii – and in all of the world for that matter, Maui gold is second to none. There are so many courses that you could play daily for over a month and still not have played them all. However, perhaps the most unique part of golfing on Maui is the fact that you can see the coast from almost every golf course on the island. This means you can enjoy your round while enjoying the beautiful scenery and the inviting breezes of the mighty pacific as well. Take a few minutes to dig deeper into the Real Estate landscape on Maui. With plenty of unique and interesting single-family homes, townhouses and condos available, the Maui Real Estate market is sure to have exactly what you are looking for. Enjoy an island paradise that offers just about everything. Maui is waiting for you now. Make the move and enjoy some of the best living around. Maui real estate is waiting for you. Kauai real estate is as hot as ever. While other places I the nation are slower to recover, Real Estate on Kauai is actually at a place where you are definitely going to want to buy. Single-family homes, townhouses and condos should all be viewed as not only a property purchase. But an investment as well. Kauai is full of rugged canyons, green mountains and amazing beaches. This all helps Kauai real estate and allows it to be some of the best Real Estate available in all of Hawaii. 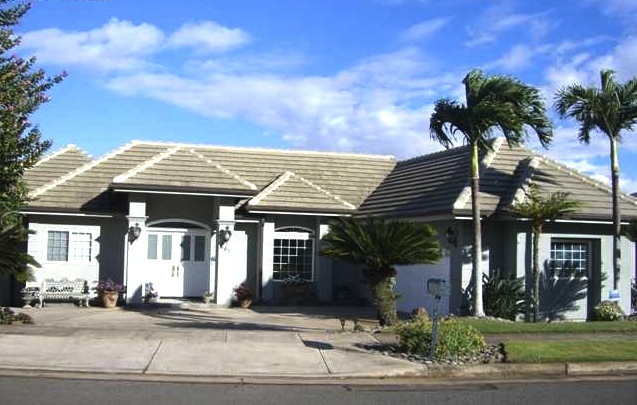 There are plenty of single-family homes, townhouses and condos available for purchase or rent on the island of Kauai. You will more thank likely find exactly what you need, as there are literally dozens of neighborhood pockets to choose form. Whether you are looking to rent or buy, there is plenty of available Real Estate on Kauai. Out of all of the Hawaiian islands, perhaps Kauai is the most beautiful. You will probably start a good argument with that statement, but there is no denying that Kauai is definitely a paradise. Take a few moments now to really dig into all that is available on Kauai. Real estate is abundant and there is surely a single-family home, townhouse or condo that is perfect for you. Dig in to Kauai’s real estate landscape today and see what all it can offer you. Makena on Maui is actually part of another community. Some like to view it as a community within a community. This actually describes it best, as Makena somewhat borders and is nestled within the Wailea area on south Maui. Know for gold and beaches, perhaps Makena’s main claim to fame is the Makena Beach State Park, or “Big Beach” as most people call it. Big Beach is true to its name. It is considered the signature beach in the area, and besides Jaws is probably the most famous beach on the island of Maui. With white sands extending nearly 2/3 of a mile long, it is one of the largest beaches in Maui. Sure there is ”big Beach” and plenty of golf, but what else is there that make Makena a great place to own Real Estate? Well, for starters there is excellent dining and plenty of shopping. Makena is tied into Wailea, so everything in Wailea is literally at your fingertips as well. With plenty of single-family homes, townhouses and condos in Makena, there is a prime chance for you to purchase real estate in the area and begin a new life in the beautiful and laid-back community of Makena. Median home prices are not quite as expensive as Wailea, with current home prices hovering right under the $900,000 price mark. However, there are plenty of fantastic deals to be ad on single-family homes, townhouses and condos in the Makena area. Don’t go in thinking this is a final price, go ahead and work some deals. 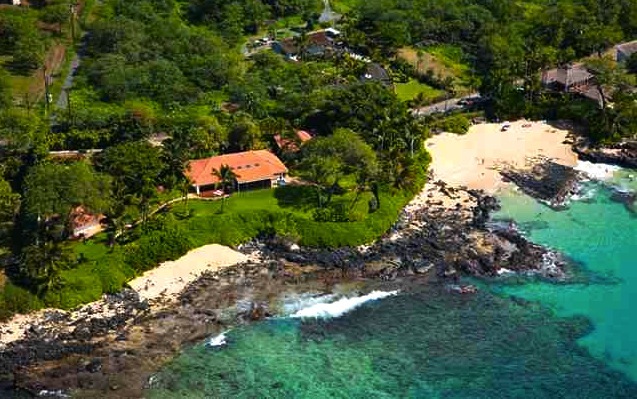 You will definitely want to get in on a piece of Real Estate in the Makena area of Maui. If all this isn’t enough to make you buy a single-family home, townhouse or condo in Makena, then consider this. You are also right next to Molokini. Molokini is a crescent shaped island that is protected by the State Marine Life and Bird Conservation District. It is only three-miles off the coast, and it is perfect for snorkeling, swimming, and all types of water fun. If you are in the market for a single-family home, townhouse or condo, and are looking to buy real estate in an area of Maui that offers all kinds of amenities, then do yourself a favor and look into the real estate marketplace in Makena; home of “Big Beach.” It may just be the fresh start you are looking for. Wailea is known for its amazing beaches (crescent shaped beaches) and even more well known for its world-renowned golf courses. If you want to own a single-family home, townhouse or condo in Wailea the prices are a bit higher. However, there is really nowhere else on Maui that gives you some of the luxurious living and amenities that Wailea does. 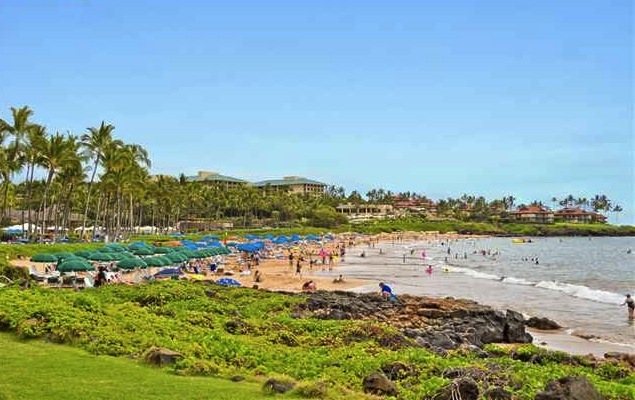 Home to some of the most amazing crescent shaped beaches you will ever find, Wailea sits on south Maui and is a city where you can see the coast from almost anywhere. The golf course are amazing, with some of the best courses in all of Hawaii being built in this area. Not only that, but when you play a round you can see the coast and the mighty Pacific from almost all the golf courses. Single-family homes, townhouses and condos are a bit pricier in Wailea, as this is a more luxurious community than some of the others on Maui. That being said, if you are looking for this type of luxurious living, the Wailea on Maui will not disappoint. Right now the median sales price for homes in Wailea, Maui are hovering around the $1,600,000 price range. This represents an increase of 0%, or $1,600,000, compared to the prior quarter and an increase of 0% compared to the prior year. As you can see, prices and Real Estate investments are pretty steady in Wailea, which makes it an ideal spot to purchase a single-family home, townhouse or condo at. Besides the golf and beaches, Wailea is also home to several top-notch resorts and spas. The most luxurious are the Grand Wailea Resort and Spa and the Four Seasons Resort Maui at Wailea. Take some “you time” and pamper yourself with a spa day, or hit the links for a round of 18. Either way, Wailea offers this type of lifestyle for those looking for it. Starting a family? Want a great place to raise them? Wailea offers it all. Schools, shopping, outdoor activities, beaches, and a family friendly environment all lend a hand to making Wailea an ideal location on Maui to raise a family. Wailea on Maui’s south shore is one of the best spots on all of Maui to own a single-family home, townhouse or condo. 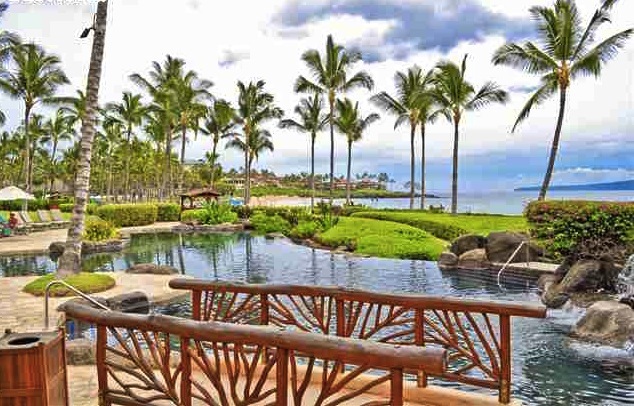 Take this opportunity to familiarize yourself with the city’s layout and look into the Real Estate prospects available in Wailea; the crescent shaped beach city. Kihei is a wonderful city on Maui that sits on the sunny south shore of the island. Hawaiians used to refer to the area of Kihei as "Kama?ole" which means "barren." However, barren is the last thing you imagine when you first set foot into this south Maui city. Shopping, restaurants, and beaches all help lend to the fact that Kihei is anything but barren. What you will find in Kihei is more of an “old-school” look, as many of the buildings from the 1970’s remain. The town of Kihei doesn’t look old or dirty, in fact, quite the opposite, but those who live in Kihei on Maui’s south shore so in fact appreciate a more local lifestyle flavor. Single–family homes, townhouses and condos are all available, as Kihei is actually a lovely place to live, and an even better place to raise a family. With its old school feel and its laid back and friendly atmosphere, Kihei is a great place to start and/or raise a family. The median sales price for homes in Kihei, Maui are currently hovering around the $390,000 price mark. This represents an increase of 11.5%, or $40,100, compared to the prior quarter and an increase of 14.5% compared to the prior year. Kihei is actually a really great spot to purchase a single-family home, townhouse or condo, despite the more old school feel of the area. Real Estate in Kihei is string, and you can rest easy knowing that buying a home in Kihei is a good investment choice. Dining and shopping all help Kihei stay an attractive destination for prospective buyers. There is plenty of shopping in the area, with at least ten shopping centers at your disposal. There is much more than you first realize upon setting foot in the Kihei community. Kihei is actually well known for having a little something for everyone. While the city is not known for 1 particular thing, it is known for having something to do or see that almost anyone will enjoy. Combine this with the fact that it is a great family community and a great place to raise kids and you will understand why Real Estate in Kihei continues to hold strong. Take a few minutes to dig around the Real Estate market in Kihei. It may take some time, but you will realize that purchasing a single-family home, townhouse or condo in the Kihei Real Estate area may be the exact investment you have been looking for. Make plans today to see all that Maui’s south side city has to offer. Wailuku holds more importance to Maui than most realize. Located just minutes away from one of the two Maui airports, Wailuku acts as the county seat of Maui’s government. It is also of commercial importance to the island. It is a small community with quaint little single-family homes, townhouses and condos available for purchase. With its importance regarding the government on Maui, Wailuku has actually started to become more and more popular with prospective homebuyers. The Real Estate market in Wailuku actually doesn’t do too bad, as there are plenty of good properties available for purchase. The median sales price for homes in Wailuku, Maui is currently hovering around the $251,150 price mark. Compared to the same period one year ago, the median home sales price decreased 21.5%, or $68,850. As you can see, prices are down. However, interest rates are also at historic lows, which makes for the perfect storm. This is a prime chance to get a single-family home, townhouse or condo for an unbelievable price. Wailuku is actually a gateway to some very lush area of Maui, and was the former resting place for many Hawaiian Kings. The landscape has of course now changed, but Wailuku remains a low-key community that doubles as a great place to raise a family. Not only are there excellent deals on single-family homes, townhouses and condos in the Real Estate market of Wailuku, but the area is also very safe. You will always have the peace of mind knowing that your family is safe if you choose to purchase Real Estate in the Wailuku area of Maui. With plenty of “ma and pa” stores and shops, Wailuku takes you back to old Hawaii. It lets you experience a more traditional Maui and allows you to live a simple, yet very satisfying life. This is the way it was in old Hawaii; simple and satisfying. If this sounds like the lifestyle you want for yourself and your family, then purchasing a single-family home, townhouse or condo in Wailuku may be the perfect choice for you. Take a few minutes to sit down with your loved ones and take a look at all that Wailuku, Maui has to offer. You may find that this simple yet charming way of life is perfect for you and your family. Plenty of Real Estate listings await you in Wailuku; the heart of government on Maui. Kahului on Maui is actually the islands largest community and holds not one, but 2 airports, which happen to be both the islands airports. Kahului serves as the center of commerce for Maui and is home to excellent restaurants, shopping centers, museums and parks. Hosting a number of diverse single-family homes, townhouses and condos, Kahului is the bustling center of all Maui Real Estate. Want to enjoy something very unique and spectacular upon your move to Maui? One of the first things you should go see is ‘Iao Valley, otherwise known as the “the Yosemite of the Pacific." This is one of Maui’s natural wonders and should be on the top of your list after you move into one if the amazing single-family homes, townhouses or condos that Kahului has to offer. Want great shopping? No problem, Kahului has you covered with an assortment of outdoor and indoor malls and other shopping centers. What great dining? Again. You are covered, as Kahului offers some of the best dining on Maui. Fast food and high-end delicacy combine in this food lover’s paradise. Kahului is not only the center of commerce on Maui and Maui’s largest community, but it is also a fantastic place to raise a family. Good schools and a family friendly community all lend a hand to the stunning atmosphere offered in Kahului, Maui. The median sales price for homes in Kahului, Maui is currently hovering around the $312,500 price mark. Compared to the same period one year ago, the median home sales price decreased 12.6%, or $45,000. This is not a huge decrease, especially when you compare it to other Real Estate markets around the country. The fact of the matter is that this is a chance to get a single-family home, townhouse or condo in a beautiful community located on the Valley Isle. If Maui is your island choice and you are looking to purchase a single-family home, townhouse or condo within Maui’s biggest community, then take a few minutes to peak into the Real Estate possibilities that await you in Kahului. With great school, plenty of outdoor activities, tons of shopping and restaurants, Kahului may be the very place you have been searching for. A plethora of single-family homes, townhouses and condo choices await you right now. With great prices and good financing available, start fresh today in Kahului; Maui’s largest community.